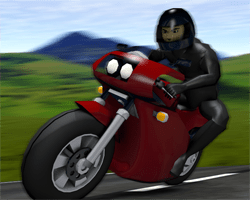 First person 3D TT Motorcycle Game.Take to Bike Island, and compete in a series of timetrial challenges over different stages, finally unlocking the whole island course. Mouse or keyboard control. Try selecting mouse from the mainmenu, we think it’s more fun. Help cute creatures to climb into the tube! Amazing graphics, nice sound, lovable characters and challenges. Have fun with Dropme! Bake a delicious fruit pie in this amazing cooking game! Find pairs of identical Mahjong tiles in this kitchen-themed Mahjong connect game and try to earn a high score! Draw a path over the numbers and add it up to the indicated goal. Destroy as many monsters as you can before they destroy you! Use the arrow keys to move the Player. To destroy approaching monsters, aim and click the mouse at the monster. You will gain one point per each monster destroyed. Play this cute match 3 game for free! Match the kitty, bunny and bear to score points and win coins. Save the pets and they’ll help you progress through the different levels with great power-ups. 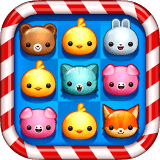 Come and play in this magical animal puzzle world! Flappy Nerd is a game with a nerd, fallen in love. It’s inspired by famous Flappy Bird. Flap the nerd on the wings of love through the obstacles at a library and don’t let him crush. Be accurate, get more points, fly for a new romantic rendez-vous!